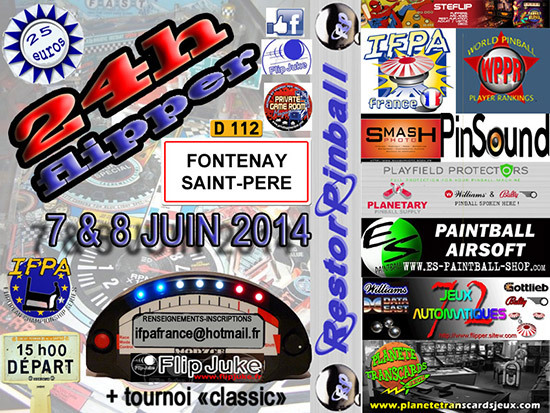 This 24 Hour Flipper event started at 3pm on the Saturday and ran through to 3pm on the Sunday. No stopping. No sleeping. And eat at your peril! 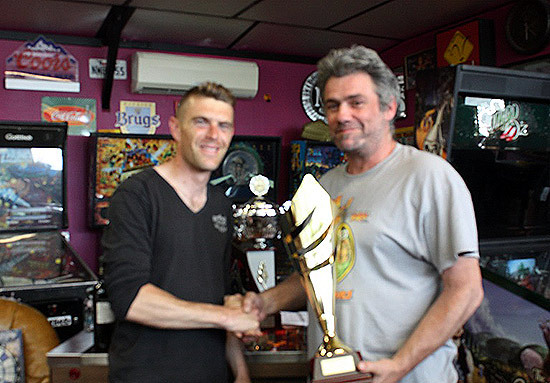 The price of registration was €25 ($34/£20) in advance for the main tournament, which was the French element of the new IFPA European Circuit. 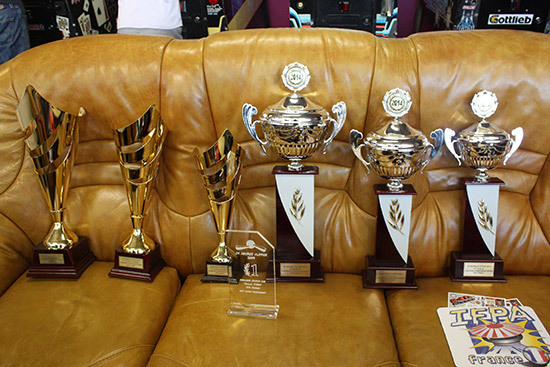 Entry to the side Classic Tournament was free with entry to the main tournament. I arrived at the venue expecting to see all the indications of a major tournament, but instead all I saw was a 'beware of dog' sign. so let’s attempt to get inside safely! Once inside, the first thing I came across was a truck loaded up with a Whodunnit? and a glorious-looking Fire Mountain. Walking up the path led me to a house with a few people gathered outside. I'm still not sure I have the right place. 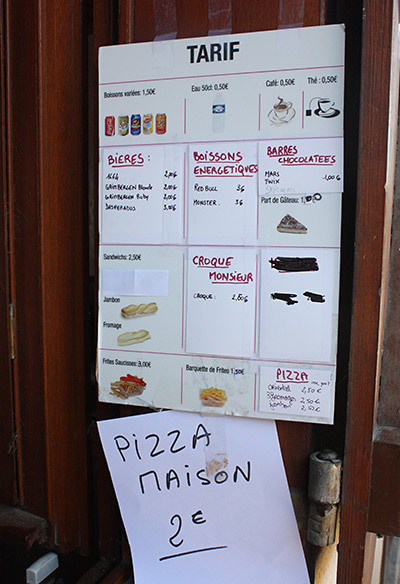 Closer inspection of the building led me to the window where they were selling all sorts of goodies, including 'House Pizza'. Glancing inside I saw a family preparing lots of food. They asked me if I would like something to eat and drink. So far, so good. 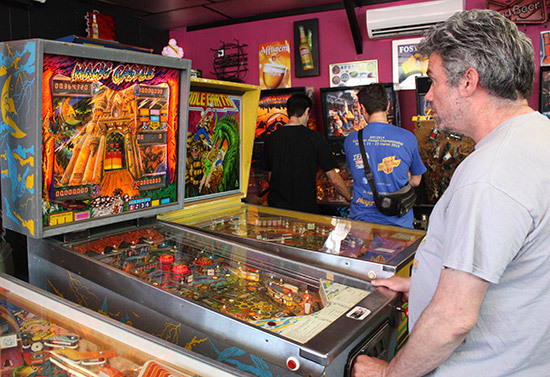 But for such a major tournament there was a severe lack of pinball machines and players. 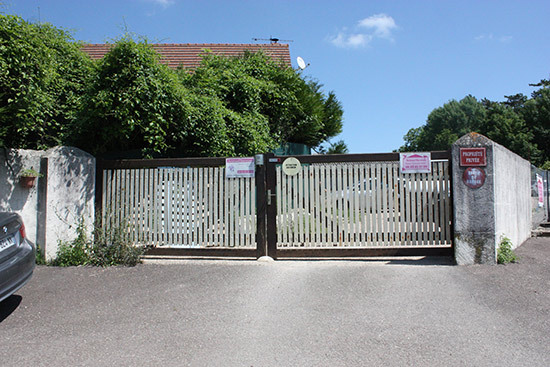 Maybe this long outbuilding will contain lots of machines? As I walked inside I immediately recognized lots of friendly faces, and I knew this was the right place. 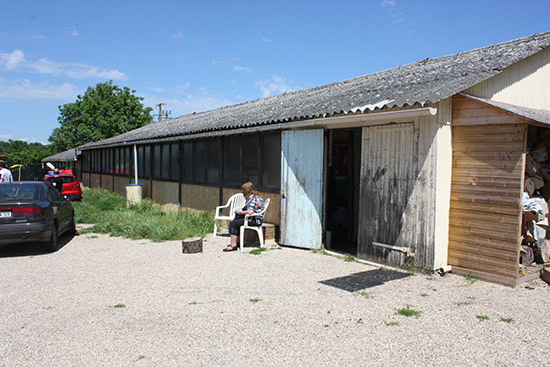 This unlikely-looking building contained a great selection of well-kept machines, both old and brand new. 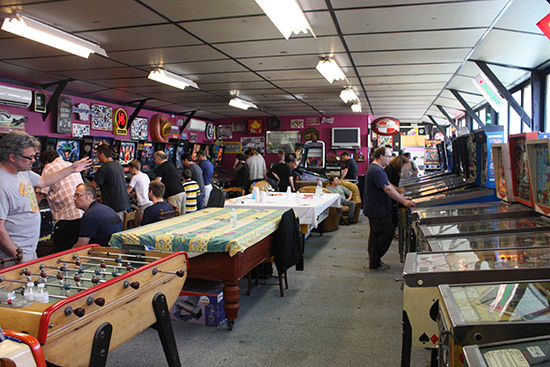 The machines were packed-in and the space was well used, with every nook and cranny being home to another game, as you can see in my Five Minute Tour of the location. Early on in the day there was space to move around the building, but it became overcrowded a little later in the day. 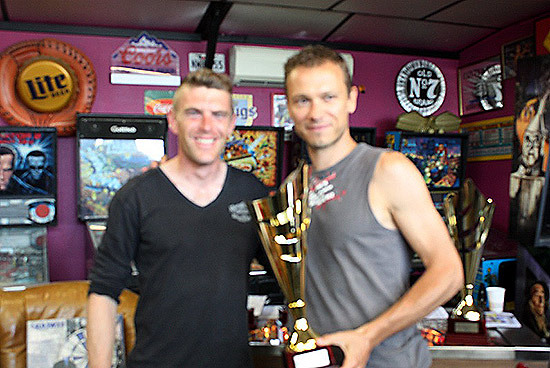 There were three trophies for the top players in the Classic Tournament, while the fourth-placed player received a nice bottle of wine. 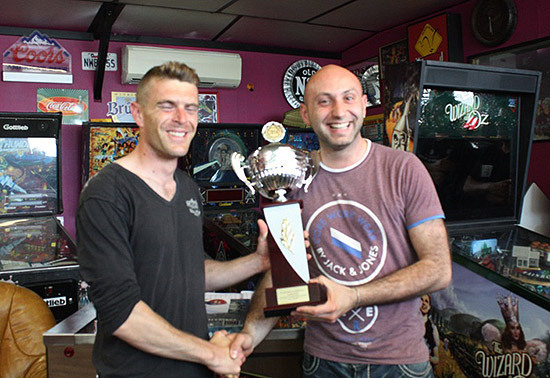 The top three in the Main Tournament also received trophies, with the fourth winning vouchers to spend at a French pinball shop. 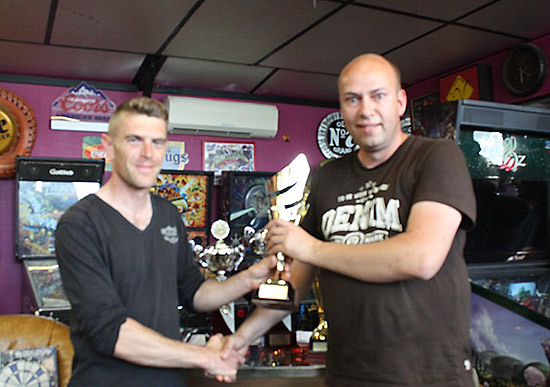 There was also a trophy for the winner of the High Score Competition which was played on a Batman machine from Stern. 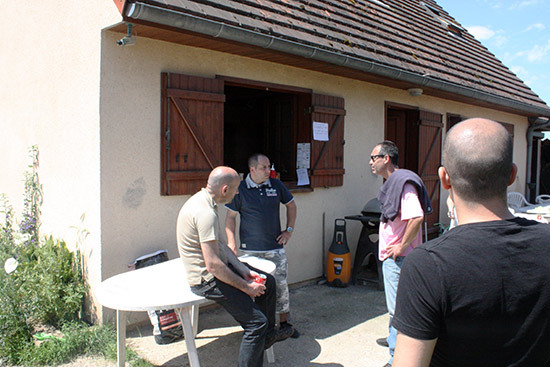 The main competition ran from 3pm on Saturday, finishing at the same time on Sunday afternoon. You had those twenty-four hours in which to put up as many high scores on the machines as you could. Every six hours the high scores were recorded and then reset, ready for the next six hour session. and so on for all recorded scores. 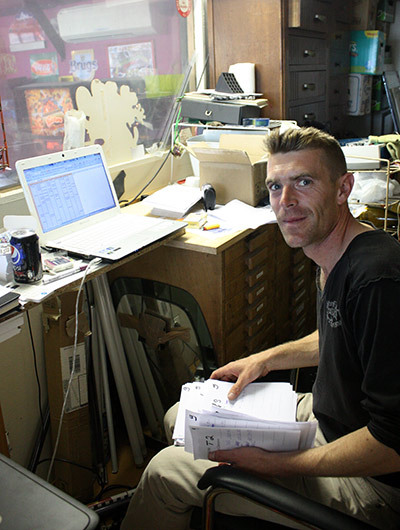 The machines' scores were recorded and reset four times in the twenty-four hour period, after which the person who had the most points overall was the winner. 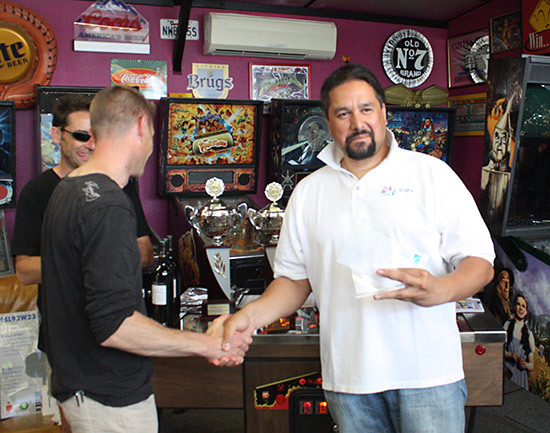 That proved to be Daniele Acciari from Italy who received his prize from IFPA France president, Eric Rousseau. 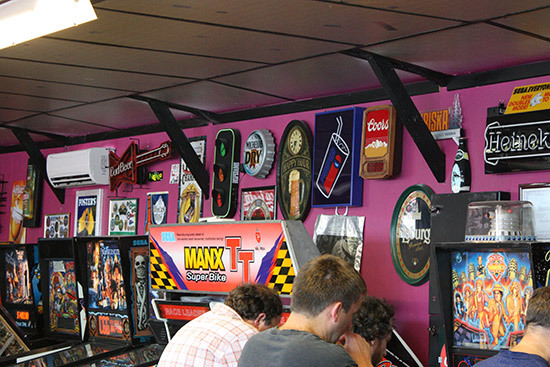 The Classics Tournament was quite different, with a list of machines which you could play as many times as you needed. Once you had obtained a large enough score you would declare it. 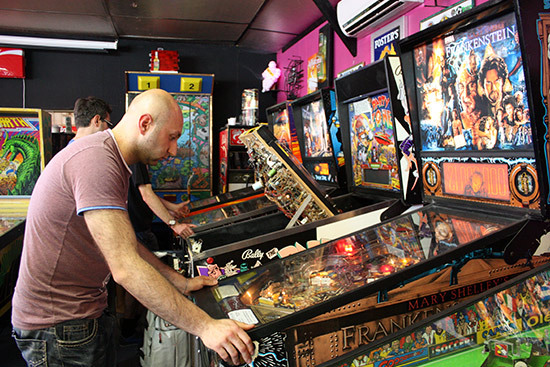 Once all the scores were declared, the top three players on each machine went through to the final. 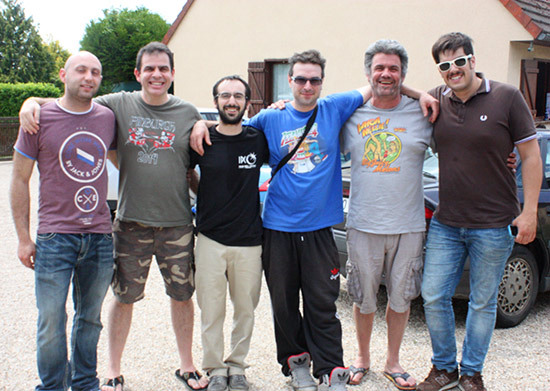 These final thirty-two played it out in eight 4-player games, with the top two going through to the next round and the bottom two leaving the competition. 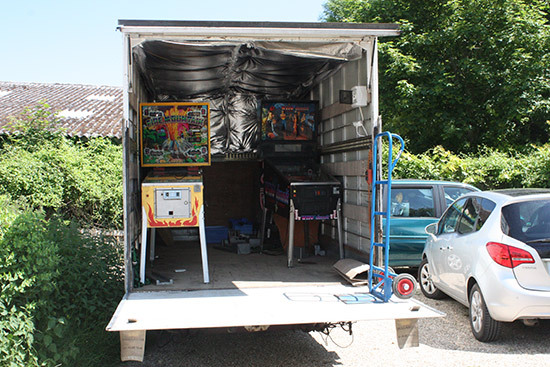 Eventually the last four in the Classics played a 4-player semi-final game, with the top two going on to fight it out in the final on the double-ended Joust machine. 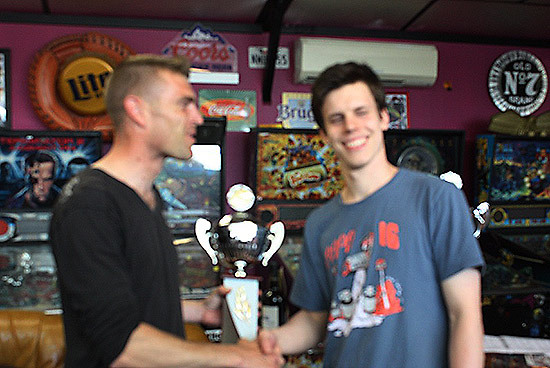 The third and fourth in the semi-final would also fight it out on Joust for third and fourth places overall, producing a nice twist to the conclusion of the Classics Tournament. 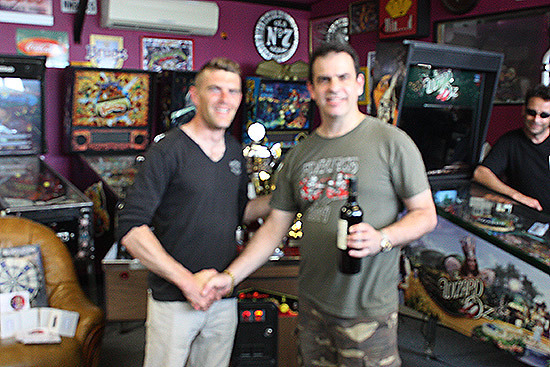 The winner of the High Score side-tournament, played on the Batman game, was Michel Dailly. 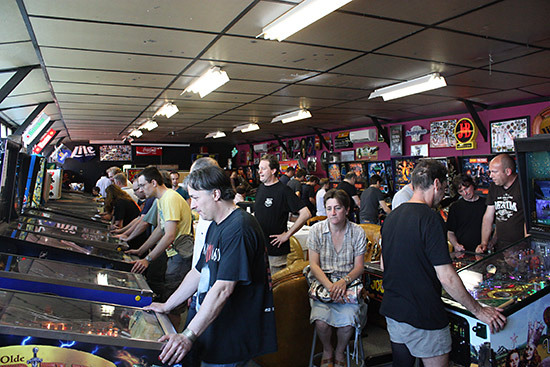 If you like pinball marathons where you get no sleep, start passing-out, and can manage to last the full twenty-four hours, then this is for you! However, it has to be said it was a very well-organised and fun event. 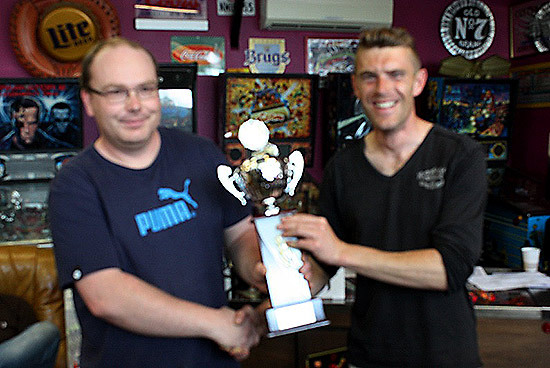 The organisers were friendly, as were the players and everyone involved. 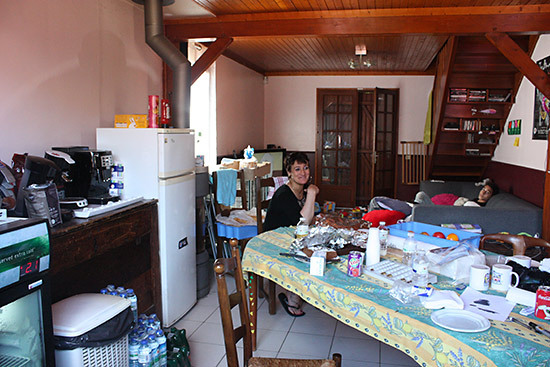 The private location added to a nice warm cosy feel of the event. 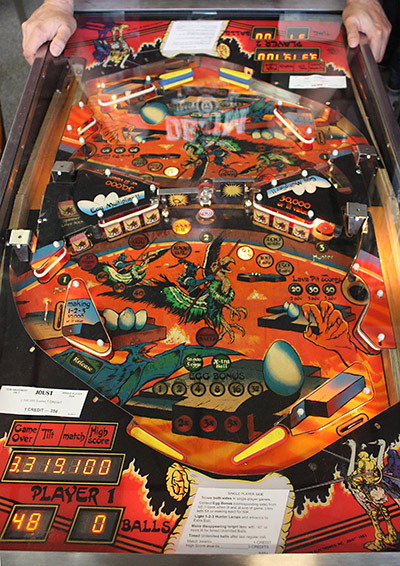 Be warned though - this is for the hard-core pinball player, not the casual player. But would I do it all over again? Yes, of course! 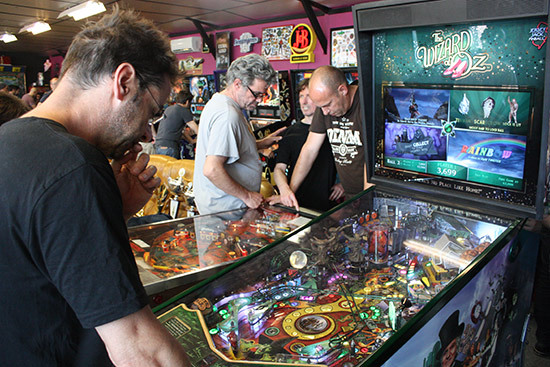 Go play some pinball, and then play more, and even more!